Part love story, part literary mystery, Melanie Benjamin’s spellbinding historical novel leads readers on an unforgettable journey down the rabbit hole, to tell the story of a woman whose own life became the stuff of legend. Her name is Alice Liddell Hargreaves, but to the world she’ll always be known simply as “Alice,” the girl who followed the White Rabbit into a wonderland of Mad Hatters, Queens of Hearts, and Cheshire Cats. Now, nearing her eighty-first birthday, she looks back on a life of intense passion, great privilege, and greater tragedy. First as a young woman, then as a wife, mother, and widow, she’ll experience adventures the likes of which not even her fictional counterpart could have imagined. Yet from glittering balls and royal romances to a world plunged into war, she’ll always be the same determined, undaunted Alice who, at ten years old, urged a shy, stuttering Oxford professor to write down one of his fanciful stories, thus changing her life forever. What social forces motivate each of the characters to deny Dodgson's inappropriate attention to Alice? Alice became famous through no fault of her own. Can you come up with a modern day version of Alice? How do their lives compare? Alice refuses to read Alice in Wonderland until she is well into her eighties. Why do you think she avoids reading the story she inspired? The relationships between Alice and her sisters Ina and Edith range from rivalry to a life-long bond. What effects do these have on Alice, and what are the consequences? What part of the book speaks to you and your experiences in life? How does Benjamin take both the reader and Alice from ignorance and denial to the self-realization of her complicity in the ruptured friendship with Rev. Dodgson? Is this believable? While Alice's sister lies dying, Mama asks Alice "Why couldn't it be you? You've never brought me anything but pain, while she has brought me nothing but joy". What kind of effect do you think this has on Alice for the rest of her life? Did it affect the way Alice thought of her own children? The photos Lewis Carroll (or the Rev. Charles Lutwidge Dodgson) took of Alice Liddell capture a look that can be described as wise beyond her years - what do you think is behind that look? How much did the Victorian setting play a role in this book? 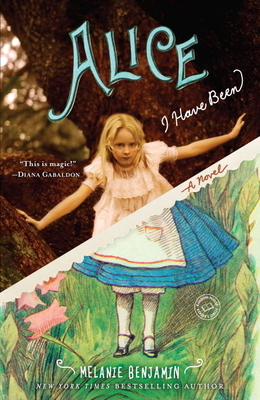 Before reading Benjamin’s novel, had you already read Alice’s Adventures in Wonderland? If so, does it make you want to read it again? Why or why not? What do you think of an author writing a biographical novel using only notes and references and filling in the gaps with intelligent supposition?